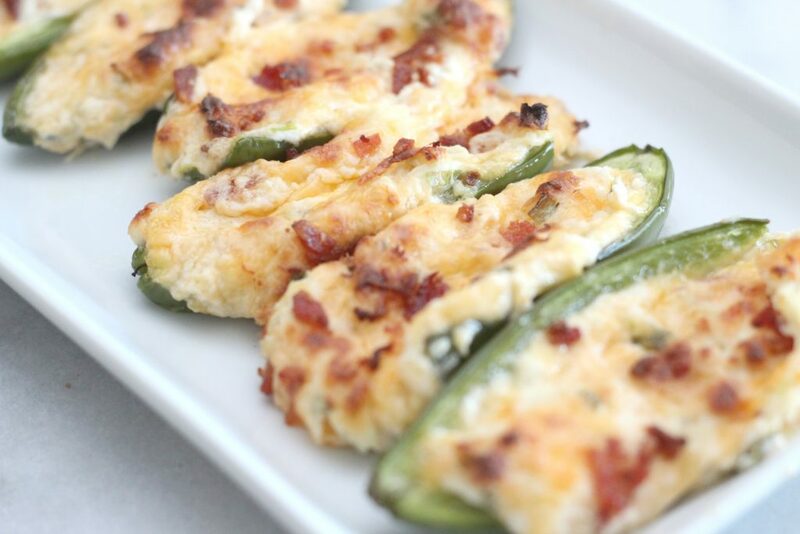 You are going to love this recipe for roasted chicken and bacon jalapeño poppers! 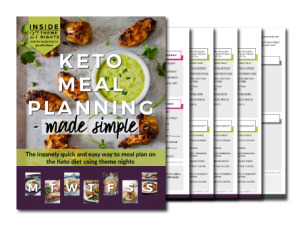 These are perfect low carb/keto appetizers and they taste amazing. I didn’t mean to end up with two pounds of jalapeños. I was being lazy and ordering my groceries from Instacart. I don’t even know. I wanted two jalapeños to flavor my water. 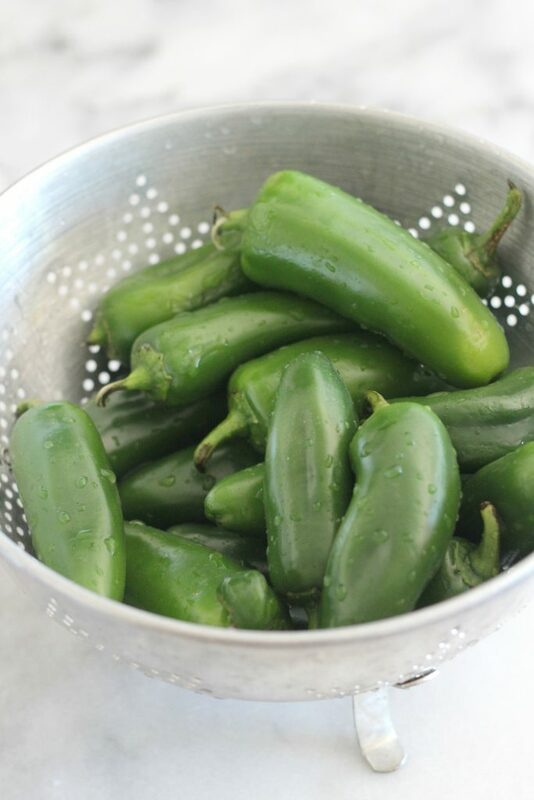 Yes, that is a thing…you can read about my jalapeño flavored water here. Anyhow, two pounds of jalapeños arrived. No big deal. I can think of uses. Hopefully. Of course jalapeño poppers came to mind. Why wouldn’t they? They are delicious. I used to think that jalapeño popper were those things that came frozen and are breaded on the outside with gross cheese inside. Maybe twenty years ago. But we’ve grown up and so has our palates. The roasted chicken and bacon jalapeño poppers came together very quickly because I had the shredded chicken made ahead of time. See how I prepare my shredded chicken breast here. I prepared the bacon while I was cutting the jalapeños, it’s easy to do in the oven. If jalapeños are too spicy for you, bell peppers will work too and be just as delicious! Wash jalapeños. Remove stems and cut in half lengthwise, removing seed and insides. Lay on a parchment lined baking sheet. In a medium bowl, mix together the rest of the ingredients using a hand mixer, reserving approximately 2 tablespoons of bacon for a garnish. 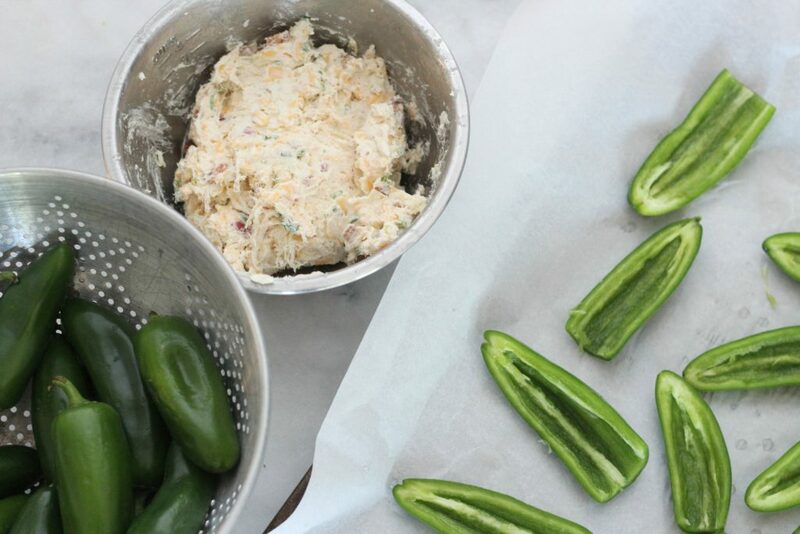 Once well mixed, spoon cream cheese mixture into the jalapeño halves. Sprinkle with remaining crumbled bacon. Roast jalapeño poppers in the oven for 15 to 20 minutes, until peppers are tender and cheese mixture is brown and bubbly. Nutritional information provided for recipes is a courtesy to my readers. I do my best to be as accurate as possible, but you should do your own nutrition information calculations. I expressly disclaim any and all liability of any kind with respect to any act or omission wholly or in part in reliance on anything contained in this website. LOL that happens to us all the time. And it forces us to be creative in using extra ingredients. We love jalapeno poppers. Can’t wait to try your recipe! Oh my husband would be drooling over these! I don’t eat bacon and spicy doesn’t agree with me, but he loves all of it!! 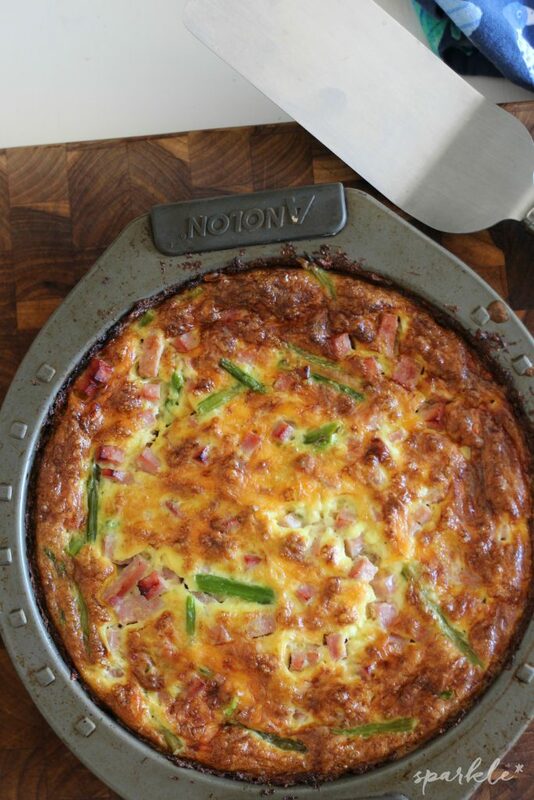 The jalapeños weren’t too spicy, you could do it with bell peppers and skip the bacon. I loved it with the chicken inside! My mother like bacon. She will very happy if I cook for her. I will try this recipe. Thanks for sharing! Yummy! This looks perfect. I am hungry just reading your post! Definitely going to make this recipe! Sweet! Let me know if you get creative and make fun changes. These look amazing. I will try to veganize it with seitan maybe and vegan cheese Im not sure if it will work out and I will get back to you with the results! Oh yes! Let me know. How does the vegan cheese melt? 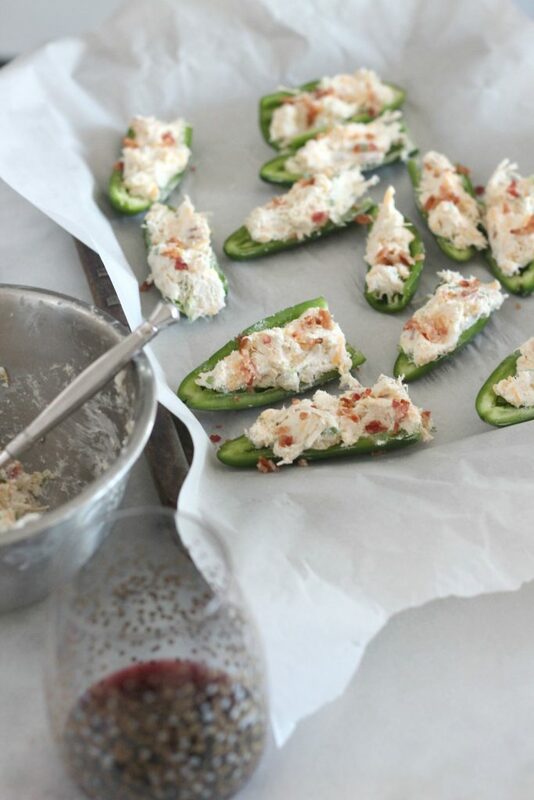 I love jalapeno poppers but I have never made my own. I didn’t realize that they were so easier! They were so easy and so tasty! I was worried the jalapeños were going to set my mouth on fire because when I opened the bag with 2 lbs of them my eyes started burning. But after they baked, they weren’t really very spicy. Yum! Can the bacon be swamped out with turkey bacon? Can’t wait to try! I don’t see why you couldn’t use turkey bacon! Yum! Yum, perfect snack! Thank you for sharing at Fiesta Friday! This looks awesome, and so much easier than the ones my friend did when they stuffed the peppers instead of cutting them in half and filling them that way. I would love to try this. I rarely cook but this looks like something worth trying. Maybe I can convince my girlfriend to make these with me one night, thanks for the info! 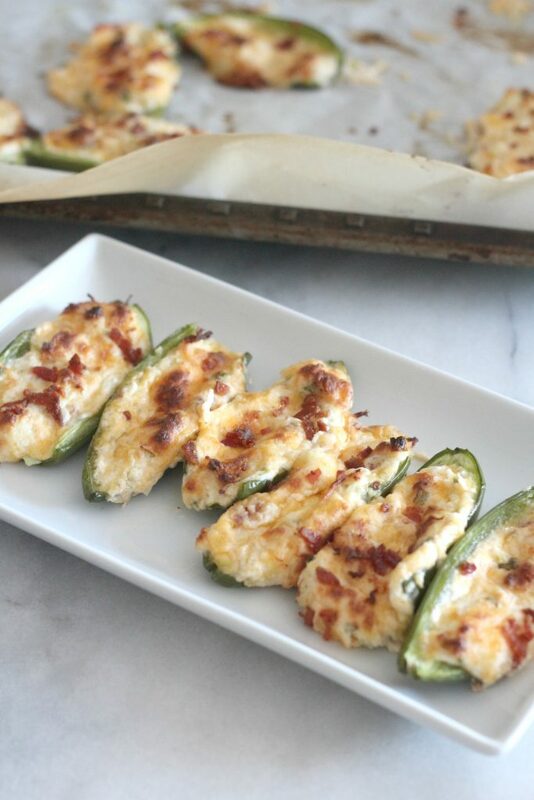 I love jalapeno poppers – these look great! Thanks for sharing at the What’s for Dinner link up! These are great Jalapeno Poppers, we will love them! Hope you are having a great weekend and thanks so much for sharing with us at Full Plate Thursday! These might be a little too spicy for me, but I’m sure the rest of my family would enjoy these. Thanks for sharing on Merry Monday. Pinned. Yum! Now this is my kind of food! I have never made this with roasted chicken before but definitely want to now!